Fits: Celestron 11" (28 cm) f/10 SCT versions (metal or carbon fiber tube) with flat secondary housing and standard collimation screw threads (not for CPC 1100 or EdgeHD). 1. Silver factory collimation screws usually have standard threads, but some silver Phillips screws have metric threads. Our hints will help you determine which screws are on your telescope. Make sure the knob threads match the factory screw threads before installing the knobs. 3. 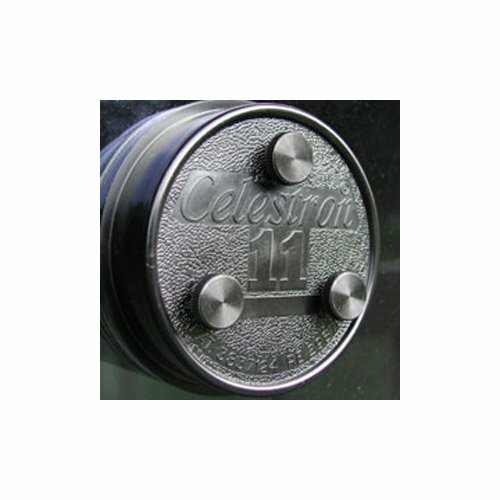 Celestron 11" SCTs manufactured prior to 2006 have standard collimation screw threads.